I am a huge fan of forensic studies, and the psychology of a criminal mind. I have read far too many true crime books, and I will never admit to the number of hours of Discovery ID programming I have cycling through my DVR. Armchair criminalist? Yes, I am! How is it even conceivable that I only recently began watching CSI? Actually, there is an explanation for this. I had soured on original television programming at one point, and the original CSI came out during my hiatus. By the time I realized there was a reason or two to give TV another try, the show was a couple of seasons in. In fact, this was about the time the first spin-off, CSI: Miami was in its first season. I have a silly little quirk that simply won't allow me to go jumping into a long-running series willy-nilly. I kept putting off watching any of it, until I could figure out how to start from the very beginning, and do it in the proper sequence - crossovers considered, of course. Everyone who knew me, urged me to watch it, and channel surfing moments often found me stopping on an episode of one CSI series or another... but I never managed to catch a full episode. One night recently, while staying at a hotel, and unable to sleep. I stumbled upon TNT, and noticed that something was just running opening credits. I didn't care what it was... it was late, and I was not opting for an infomercial. I was glued to the screen in short order! What I "stumbled upon" was a CSI: NY repeat - an episode entitled "Vacation Getaway". If you know the series, you know this was one hell of an introduction to it! Right then, CSI became a priority. This summer, I finally buckled down and watched the entire CSI trifecta. BOOM - mission accomplished! And... just in time for the premiere of CSI Season 15 this Sunday on CBS! Are you already a fan of the CSI franchise? Or... Are you suffering from OCD-induced procrastination issues, as I once was? Watch out for spoilers ahead in this rapid review of 33 combined seasons (and counting) of CSI investigations. It all started in Las Vegas, back in 2000 (and it continues today). 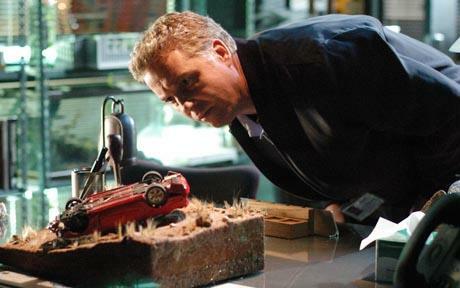 Dr. Gil Grissom (William Petersen) supervised the CSI team through the bulk of the series run. Eventually, we worked our way to D.B. Russell (Ted Danson) taking over the lead in Season 12. I cannot say enough about how much I enjoy both of these personalities. They're both similar in their generally calm approach and modest, innate wisdom. Russell is a bit more zany zen, and Grissom has a surprising air of mystery underneath that brainy exterior. Both are endearing. But what about the rest of our CSI team? 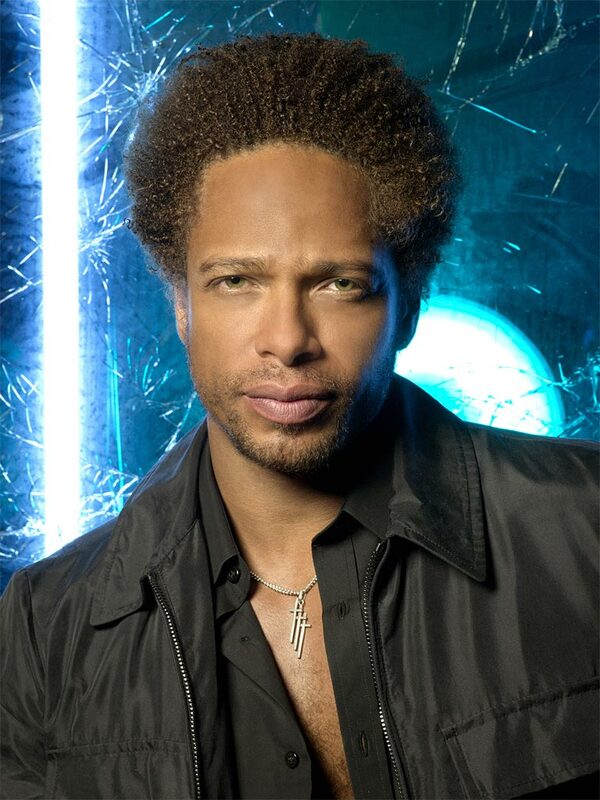 While I can't pinpoint much weakness in any of the characters, I always had a particular affinity for Warrick Brown (Gary Dourdan) and Catherine Willows (Marg Helgenberger). Warrick died on the Season 8-9 arc, and Catherine's exit came in the form of a job offer with the FBI in Season 12, paving the way for Julie Finlay (Elisabeth Shue). The back-stories, baggage, and adversity developed for both Warrick and Catherine made these characters endlessly alluring. The storylines weave their personal flaws and struggles directly into their professional commitments in a way that makes them relate-able. It certainly didn't hurt to discover that Catherine was the daughter of casino mogul Sam Braun, portrayed by Scott Wilson (most recently of The Walking Dead fame). The original CSI laid the framework for the entire franchise. It's hard to not hold respect for the strength that must exist to be the trunk of such a mighty tree. The stories are strong and original. Although a couple of methods may be seen crossing into the spin-offs, they all start in Vegas. I'm still a bit miffed by two different episodes featuring a dress as the murder weapon, but even this idea originated on the original series before it landed in Miami. The Vegas team has the most interesting investigative techniques, and personally, I just prefer their methods and use of available (and innovative) tools and tactics. Based on the stories alone, the original is the winner! The cast of CSI, while strong, have been with the show for quite a while in most cases. It's natural to expect shifts and changes, but it makes it somewhat discouraging to fully engage with them at times, and it disrupts plot development. My research has revealed a lot of upheaval attributed to off-screen dramas and conflicts between the show's creators/ producers and cast. Without picking any sides in the various battles, I do have to admit that the overall idea of cycles of squabbling puts me off just a bit. I am looking forward to the new season beginning Sunday, but I'm also still patiently waiting the return of Catherine Willows, and I'm reserving a portion of my love for the show for the day they can make that magic happen again. From here, we spin-off to Miami in 2002, to see how investigations are run in The Sunshine State. I will say it right upfront - this was my least favorite series of the CSI franchise. 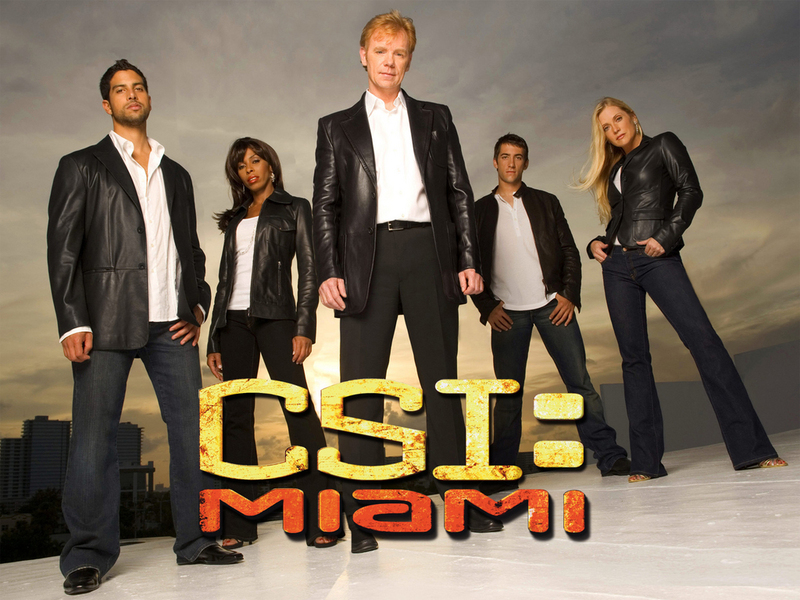 I did watch the entire series, so obviously it had something to offer, but CSI: Miami had a few big strikes against it that made it hard to commit to at times. From the very beginning, the show was wrought with character issues that I found to be too disruptive. Kim Delaney appeared in ten episodes as lead Megan Donner alongside David Caruso's Horatio Caine. Delaney's exit seemed to be prompted by the character falling flat, and this discovery came as no surprise to me. Rory Cochrane's character Tim Speedle lasted until the opening of Season 3, when he was gunned down in the most blatantly obvious unfolding of events in television history. The initial cast write-outs felt sloppy and abrupt. I confess, I remained bitter about this rocky start. The show gained solid footing after a while, and the additions of Eva LaRue and Jonathan Togo went far to gain my interest. I was unfamiliar with Togo before CSI: Miami, but found his character, Ryan Wolfe, to be uniquely mind-boggling. I never quite knew how to interpret Ryan, and it kept him interesting. I'm a longtime fan of Eva LaRue, and I thoroughly appreciated her contribution to the series. Her character, Natalia Boa Vista, grew in prominence just in time to inject the series with a fresh, engaging story and new life! Overall, I found Calleigh Duquesne (Emily Procter) and Eric Delko (Adam Rodriguez) to be the pulse of CSI: Miami. I absolutely did a little happy dance when these two characters wiggled their way into a romantic connection. The dynamic between the two is undeniable, and allowed for a recurring cycle of peaks and valleys that I blame for my embarrassingly long Netflix binges. Unfortunately, the romance between Calleigh and Eric never really grew to be as focally prominent and enduring as I would have expected, and appreciated. 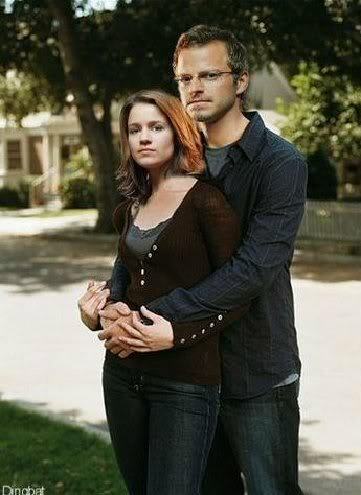 Nevertheless, whether romantically connected or not, Calleigh and Eric were the characters to pull for and look forward to in every episode. As much as I love Supernatural, I do hate that their spoof on another show I love is all too justified! 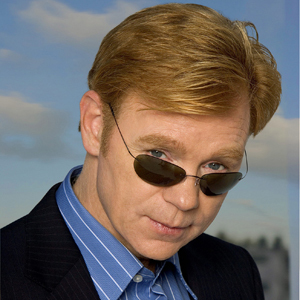 Everything I've read from other viewers demonstrates a very distinct division between those who love Horatio/ Caruso, and those who simply cannot fathom his longevity on the series. Which side of the Caruso fence are you on? 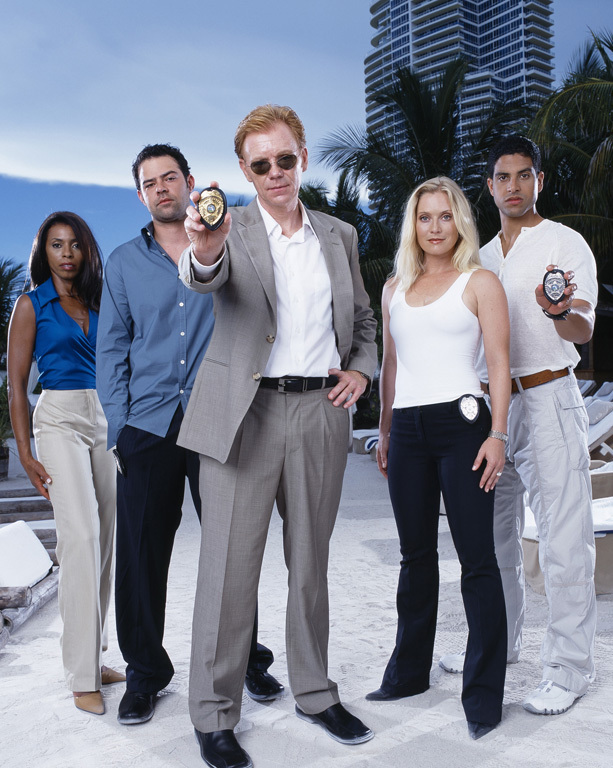 CSI: Miami ran until 2012, but back in 2004, we spun our way off to New York! 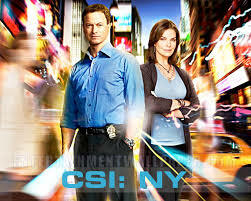 Hands-down, CSI: NY was my favorite of the franchise. Although it took me a full season to truly "get into it", this was the one that I most looked forward to watching. At first, I thought that the series might be missing something by not killing off any lead characters in dramatic fashion, as we saw in Las Vegas and Miami, but in retrospect, this was a brilliant change to the CSI standard. I grew to adore each and every member of the cast, and with the exception of Stella Bonasera (Melina Kanakaredes), the core cast remained basically untouched throughout its entire nine season run. If it ain't broke, don't fix it. Stella's departure in 2010 was explained as a relocation to a Crime Lab in New Orleans, allowing Jo Danville (Sela Ward) a position on the CSI team in New York. Sela Ward brought a fun, appealing character to the show in Jo. Unlike other cast transitions in the franchise, this one happened smoothly and seamlessly. 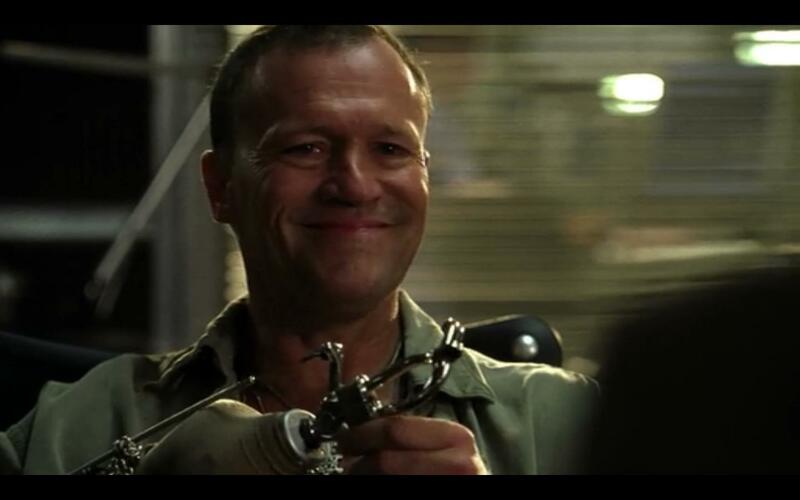 Jo was a perfect complement to Mac Taylor (Gary Sinise). The team never felt weak - even n times of discord. There was a certain bond and connection between the New York team that just felt more real and more believable than those in Las Vegas or Miami. Mac Taylor also served as the most "human" lead in the franchise. He had the commitment and passion of Horatio, the heart and integrity of Gil and D.B., and then he had that sprinkling of stereotypical New York... third time's the charm! 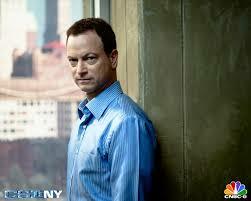 CSI struck gold with Sinise, and his depiction of Mac. Among the sea of notable talents on CSI: NY, it's not easy to single-out the stand-outs. Every personality brings something to the table that completes the formula, and this is the first of the CSI series that truly expands on all characters quite evenly, giving each one traits, trials, and histories that were completely unique. Though lines can be drawn comparing stories, guest stars, personalities, and more between all three series, CSI: NY gave us the most original, intriguing content and character development. Ultimately, I'd have to name Danny (Carmine Giovinazzo) and Lindsay Messer (Anna Belknap) as my series favorites... possibly even my favorite characters of the entire CSI franchise. 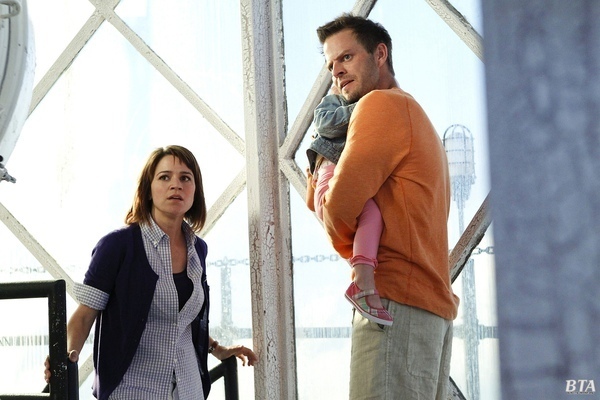 Danny Messer and Lindsay Monroe were strong, engaging characters well before they began a romantic relationship. Initially, I wasn't sold on the idea of the two as a couple, but I quickly grew to love their "opposites attract" union. It may have worked better than any other CSI love connection, and I honestly found it to be the most unlikely pairing at first, in terms of longevity potential. The small-town girl/ big-city boy love story may seem cliche, but not when it's the Messers you're analyzing. To top it off, both Giovinazzo and Belknap nailed their roles with absolute precision. BOOM - as Danny might say! It was a blissful combination of great writing and tremendous acting talent that prompted a succession of tangled plotlines keeping me on the edge of my seat - with the Messers often drawing the bulk of my curiosity and interest. Quite bluntly, Danny and Lindsay were just like-able! And, of course... it's worth mentioning that they were at the center of the episode that first really drew me in to the series! I suppose I loved the Messers before I even knew them, and personally, I think that speaks volumes. Nine seasons was simply not enough of this series. Overall, though CSI: NY rings in as my favorite of the franchise, some of the most endearing elements remain solid in all three series. While CSI: Miami took a few tips from Scooby-Doo in their plot twists (the identical triplets really pushed the envelope), the stories among the entire franchise are strong. 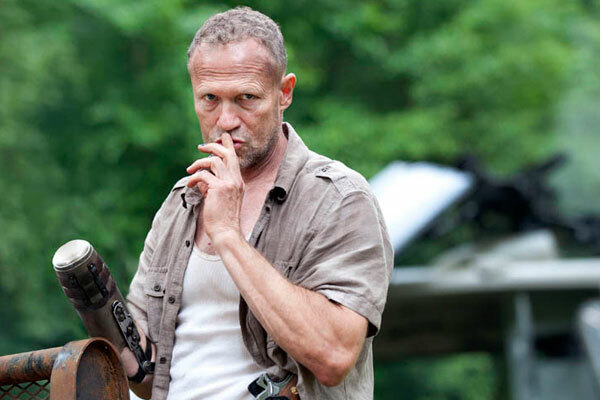 The investigative techniques and practices employed on the shows are impressive, but some have cited the processes and dialogue as "spoon-feeding". Frankly, I feel that I've learned a thing or three from CSI. As someone who has a reasonable foundation of knowledge in forensic studies, I generally see it as an intelligent show that incorporates levels of action and drama to form a universally appealing complete package. The characters bring the well-written stories to life in a way that commands viewer commitment and emotional engagement, but somehow each episode manages to prove entertaining as a stand-alone as well. I am the only member of my household that has watched the entire run, but every member of my household has encountered random episodes of each series. (How could they not, I was dragging it around on portable screens all summer!) 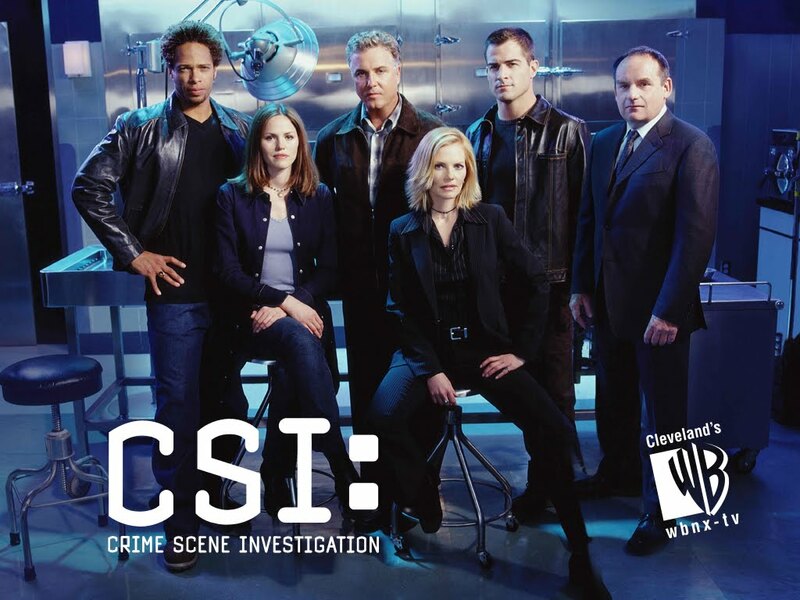 Unlike many other shows I've watched, CSI not only lured them in when it was on, but I never heard the usual voiced frustrations of not being able to follow what was going on. As a devotee, I may have the advantage of understanding subtle exchanges or growing relationships between key characters, but you can always follow the episode's main story, even if you've missed episodes before it. It stands to mention that CSI has another worthy element to its value - guest stars. A list of guest stars credited with various CSI experiences reads like a veritable who's who of Hollywood! Musicians such as Kid Rock, Gene Simmons, Rascall Flats, Taylor Swift, Ozzy Osbourne, Josh Groban, and (much to my disgust) Justin Bieber have all made CSI appearances. And... let's not forget some of the impressive actors and actresses who have lent their talents to the franchise - some for only an episode, and others for more extended runs as hard-to-catch baddies. Just a very short recap of some of the more impressive guests: Dakota Fanning, Dayton Callie, Faye Dunaway, Wil Wheaton, Rachelle Lefevre, Elizabeth Berkley, Josh Dallas, Katey Sagal, Misha Collins, Mark Sheppard, Raphael Sbarge, Jim Beaver, Roger Daltrey, Edward Furlong, Theo Rossi, Kim Coates, and Michael Rooker (who incidentally appeared as a character who had lost a limb... sound familiar, Walking Dead fans?). Obviously, I could provide enough opinion and coverage on the world of CSI to keep my blog bogged in forensic fodder for quite some time. In the future, it's almost guaranteed that I'll be following-up with more in-depth coverage as I break down the individual series. (I'd love to add a Carmine Giovinazzo Q&A in there, too.) Then, of course, there is a new season starting in just a few days... AND spin-off #3 kicking off in January - CSI: Cyber. Consider this a new viewer's super summary of a mammoth pile of drama and mystery coming from three action-packed cities and the teams at the forefront of keeping their streets safe. If you're not yet on board, inform your employer that you're cashing in on your vacation time, find a nice soft spot on your couch, and get to watching!